Here is another reason to enjoy Boquete. There are so many talented people who live here. 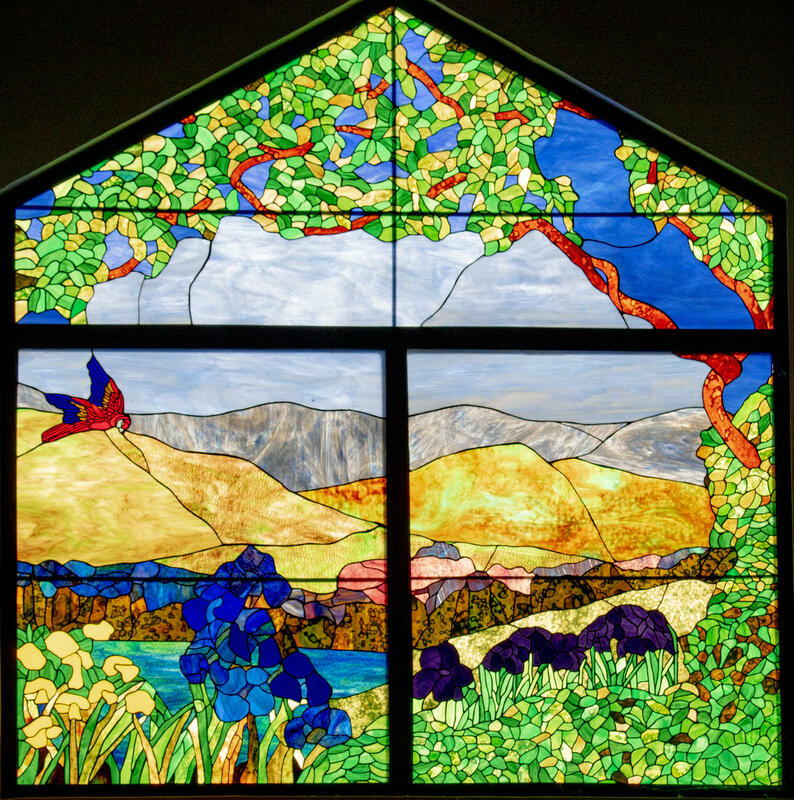 This is a picture of work of art done in leaded glass at our home in El Santuario. Chris McCall was the artist behind this beautiful piece. He crafted it about nine years ago. This project took well over a year to construct because there are about 8,000 pieces of glass involved. The overall size is about seven feet by seven feet. This morning's brilliant sun made our Great Room simply glow with beautiful colors provided by this artwork. I couldn't resist taking a picture to share with others.